Hermes Col Roule Bag fit perfectly with Your winter coat like it felt warm and fuzzy, but the color is ideal for summer as well. Hermes Col Roule Bag decorated with Palladium plated Clous de Selle “Paris Hermes” bags-here also has a shoulder strap so you can easily take him by the shoulders. Hermes Col Roule Bag made from calfskin and cowhide Hunter, these accessories right here is the perfect companion for a quick meet up with Your girl friends. And as you know, timeless design, you can always keep it in your wardrobe and take it out whenever you feel. 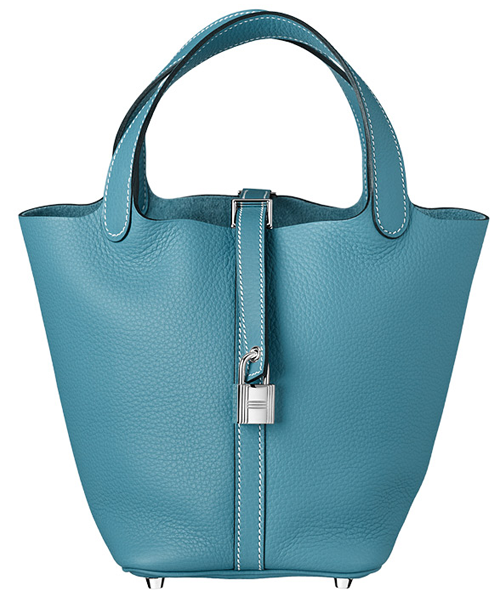 Hermes surely knows when and how to strike while the iron is hot. Just recently, this French fashion powerhouse presented their beautifully structured Fall/Winter 2016 Collection during the Paris Fashion Week. What you’re seeing right now is one of the bags that made it at the said runway show and just by looking at it without blinking an eye, one can immediately notice the opulence and elegance it exudes. This is a canvas bag that looks extra plush and stylish as compared to other regular canvas bags out there. One can just hook this bag in her arms for that added glam and sophistication. 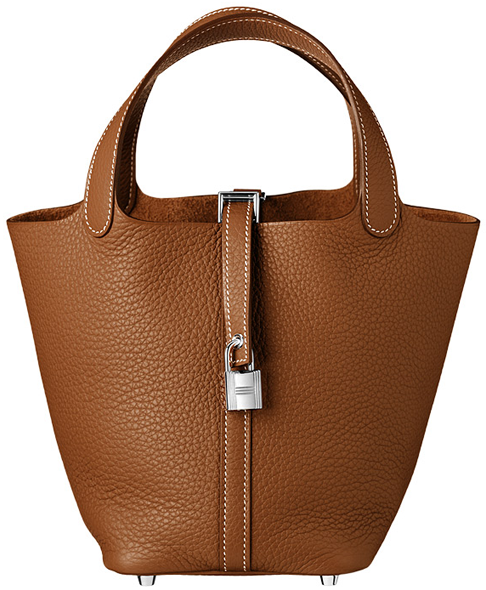 This bag is perfect for any occasion whether at the office, attending a big meeting with a prospective client, at the mall as you go shopping or at your favorite coffee shop as you take a sip out of your favorite caramel macchiato. This bag is also perfect for complementing any casual look so better pair it with your flowy white dress or any denim ensemble. The prices are not released yet, we will keep you informed. The brand presents the newest Kelly Bag, the Mini Kelly size. The Shark print is seen in the Bolide bag and id tags. When Hermes first launched the Maxibox Bag, we quickly thought of it as a great travel bag or a weekend bag because of the huge space that’s designed in the interior. The bag is quite large, just like a large duffle bag. Now the fashion house went even further by introducing the new Hermes Maxibox Cabas Bag. It’s now also available a tote bag version. 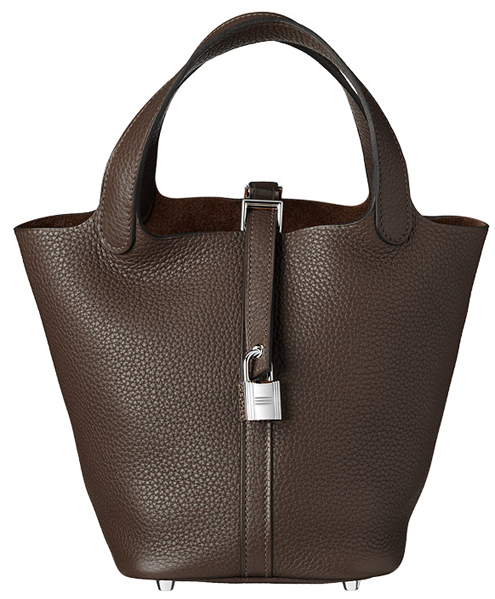 To be honest, the bag looks smooth, lady-like and the stitched corners create a balanced appeal. 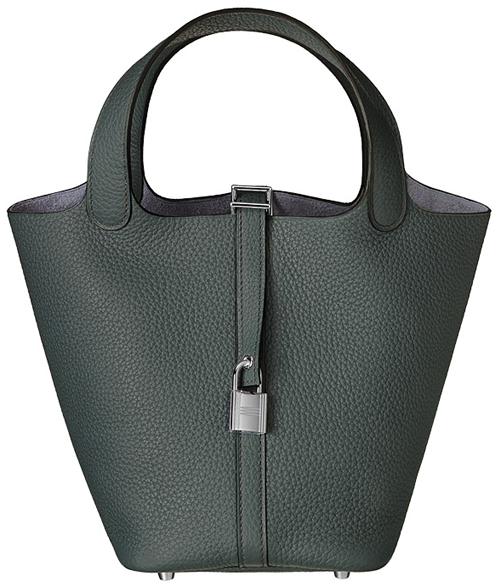 Without the distinctive corners, this bag would just be one of those designer tote bags. Crafted from Evercolor calfskin, the reinforced stitched corners are made from Epsom calfskin. 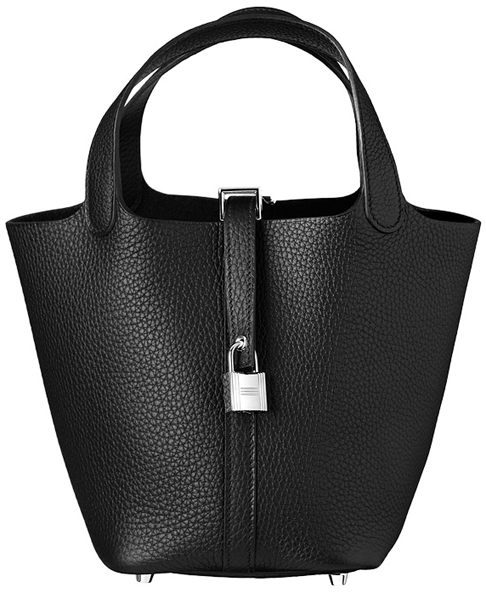 Refined with palladium-plated silver hardware, this bag can be carried by hand, on the elbow or jut shoulder carry. There are obvious more colors available, you need to check with the SA for more information. Measuring 23 x 30 x 14 (L x H x D) cm, priced at €3300 euro or £2880 GBP via Hermes boutique. So what do you think? Is it nice or overpriced?